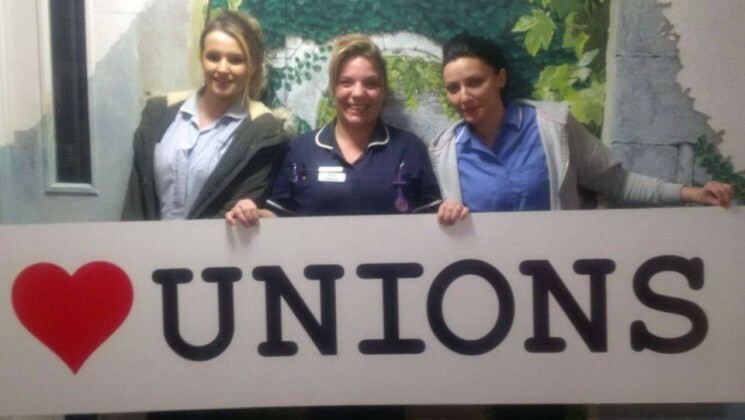 Somerset private care workers united! Come along to our teaparty! We’re organising a free teaparty for private care staff – whether you’re a UNISON member or not. Drop by to meet other care workers and find out about UNISON’s campaign for fair conditions. UNISON are organising within the private care sector in Somerset to improve terms and conditions for staff. We have high membership levels within many employers and workplaces, active workplace contacts and reps. We want to build on this and make UNISON membership accessible to all staff who work in private care. We are carrying out workplace visits across Somerset and have seen a huge increase in membership thanks to the face to face conversations we have been having with staff about the benefits of membership, plus goody bags for members and themed treats such as mince pies in December and more recently, chocolate eggs! Please like our Facebook page Somerset Private Care to find out what we have been up to plus details of upcoming events. If you want to know when we are visiting your workplace, or to book in a session, contact Gemma on g.ruffle@unison.co.uk or 07908 672888.